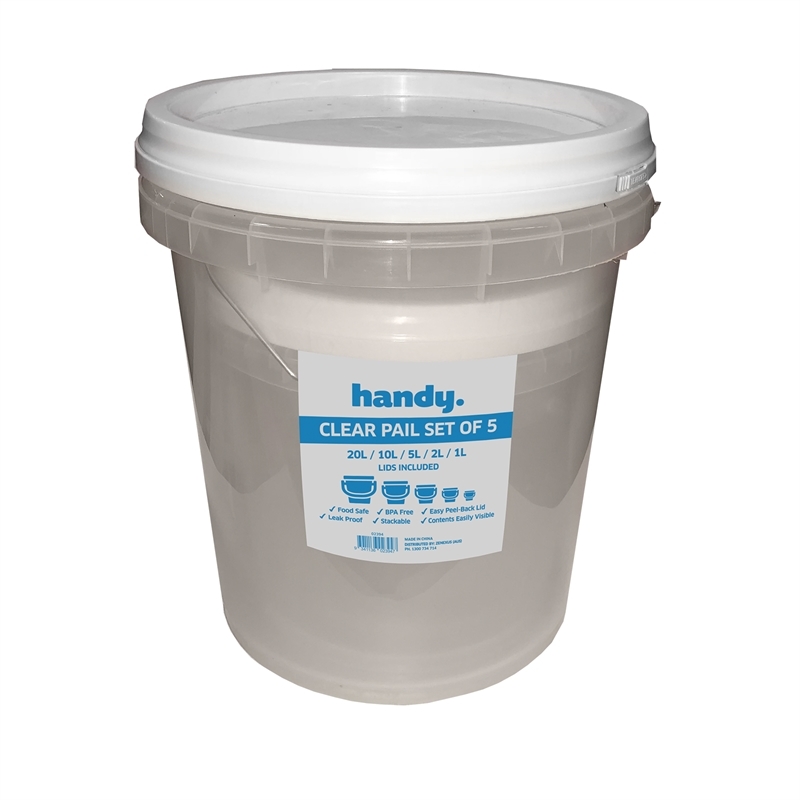 This great value 5 Pack Clear Pails with lids includes 1lt, 2lt, 5lt, 10lt and 20L pails. 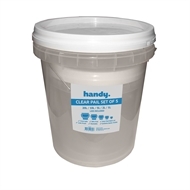 These compact and durable plastic pails are ideal for a wide range of storage applications around the home, garden, shed, workshop or office. 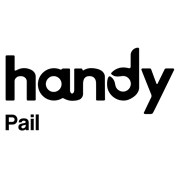 Lightweight and stackable these Handy Pails are great if you need portability. It features a superior leak proof seal, unique lifting lug and easy peel back lid making it very user-friendly.